“Enough to catch Eddie Krawiec?” someone asked. 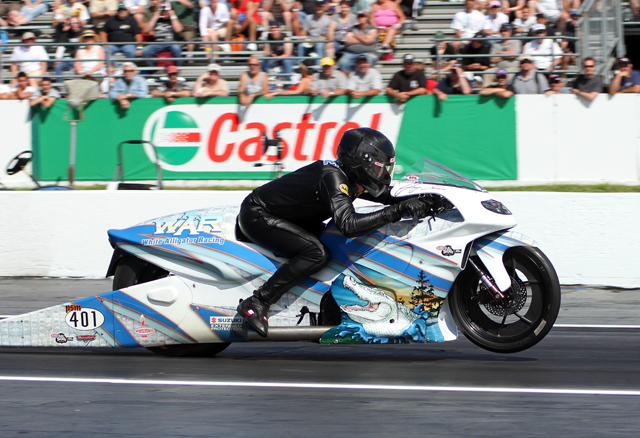 New Jersey hometown hero Krawiec sat number 1 with an .85 after the first session. And yet there was. Maybe it was the cloud that moved over just as Savoie pulled in into the waterbox, maybe it was Peiser’s tuning, Savoie’s flawless execution, or surely a combination of all the above. 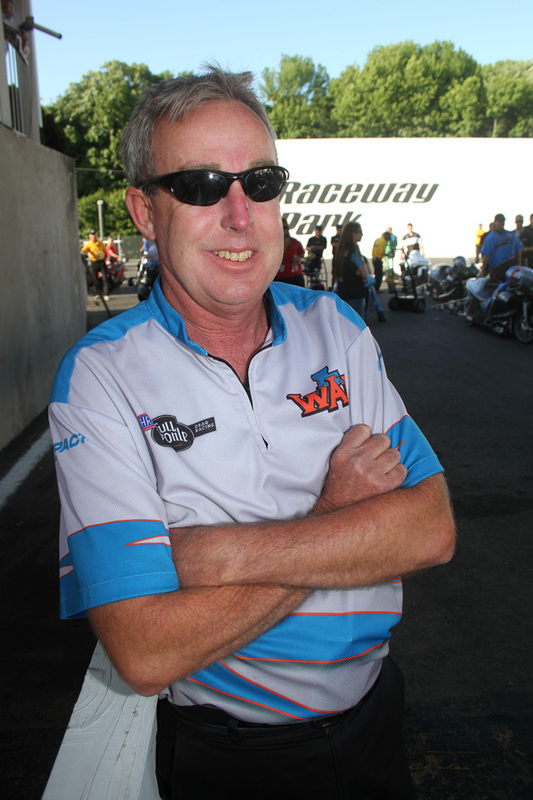 But the 52 year-old NHRA Full Throttle rookie finished round 2 on top of the qualifying order for the SuperNationals at Old Bridge Township Raceway Park in Englishtown, New Jersey with a 6.836—the second quickest Suzuki Pro Stock pass ever. Savoie sat fifth after Q1, with vacuum pressure on the Suzuki not what it should have been. “That cost horsepower,” Peiser said, figuring the problem was a bad battery, but he changed gaskets as well. “I knew we could run the number, but for us to run the best back half of the field means they (Krawiec’s team) didn’t get all they could out of it,” said Peiser, who turned his attention to changing a chunking tire before Saturday’s sessions. No doubt Krawiec and the rest of the field will be aiming to grab the White Alligator Racing Suzuki by the tail section when qualifying resumes on Saturday, but you can also bet that Peiser will somehow find “more in it” to keep Savoie number 1 for Sunday’s eliminations.